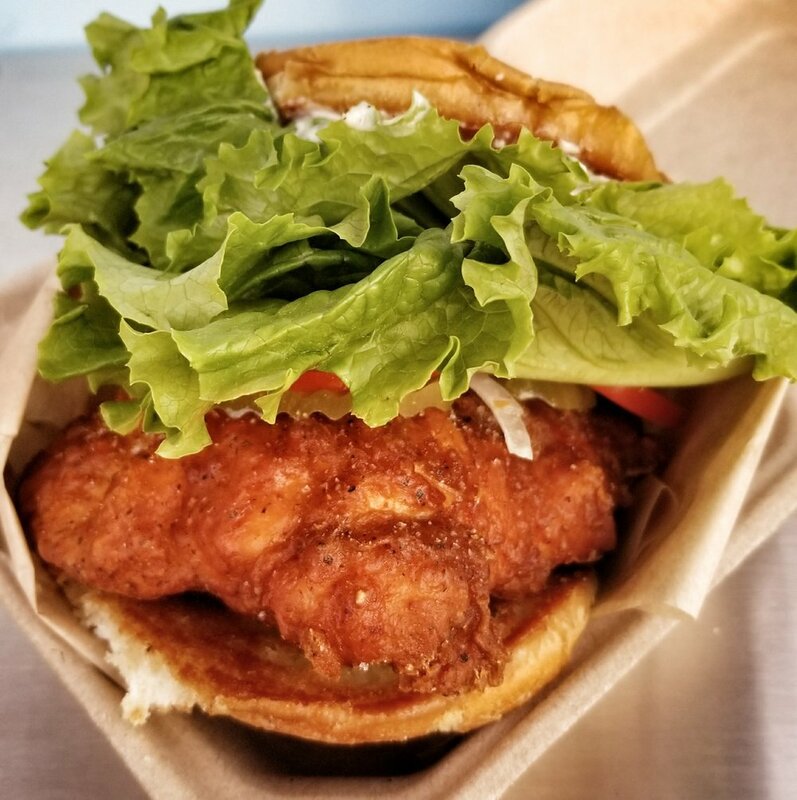 Here's a quick rundown of some of the great eating in Portland and elsewhere I've done in January, 2018 that I'm more than eager to share. More suggestions from Gary the Foodie on the podcast each month. Link to websites by clicking on the photos. We were invited to a friends and family dinner at Bistro Agnes, from the folks who bring us Ox. 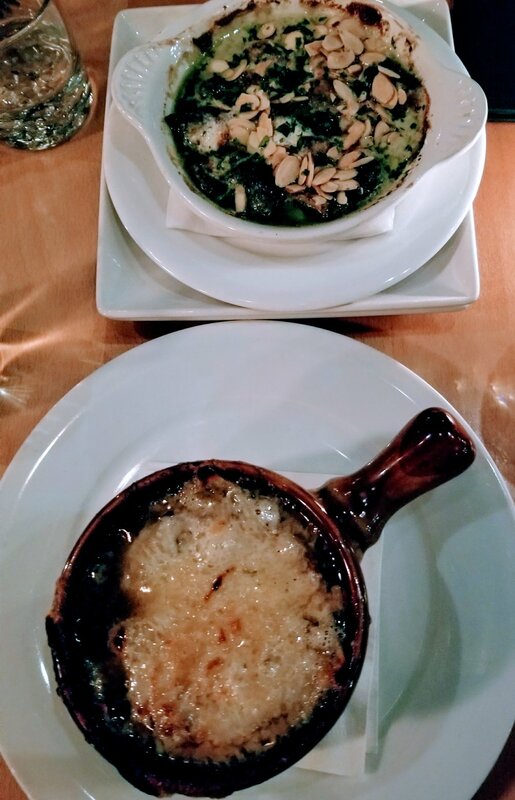 Before we enjoyed French classics like Beef Short Rib Bourguinon, we enjoyed Onion Soup Gratinee and delicious escargot. This is in the former Superbite space. The hospitality and food at any of the Denton's places is superb. Oh, and the wines and cocktails are excellent. 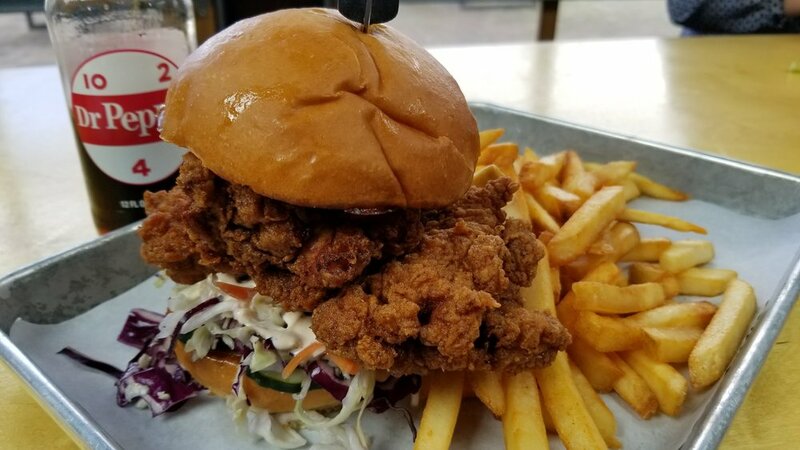 Burger Stevens makes great burgers from their cart in Hillsdale, but now Pioneer Square is home to Don Salamone's second cart, where he dishes out insanely wonderful fried chicken sandwiches. Located in the Zipper on Sandy, once I posted the pic of Burger Stevens' sandwich on Instagram, a friend encouraged me to go try this one. They are both so good we're going to do a friend chicken sandwich crawl with Andy Kryza of Thrillist now. This one, thigh meat with excellent seasoning, is a lot to tackle at lunch, especially because the fries are SO excellent. Stay tuned! I happened upon this place just across from the Alder food carts when I was having a jones for an Altengartz dog, but it hadn't opened yet. Somehow I hadn't heard of this. 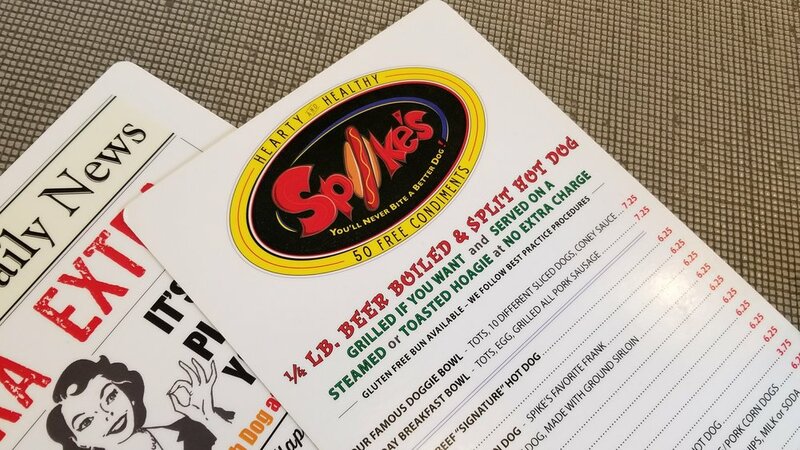 Its dogs are delicious, served in a few sizes, with an insane condiment counter, with excellent sauces and mustards to garnish your beer boiled dog. The place is clean, and it's the test model before they expand. Worth a visit if you love hot dogs. Now if we could just bring a Major League Baseball team to Portland to go with those hot dogs. The night before we had Shar, owner of Red Sauce on the podcast, we went to enjoy this excellent pie. 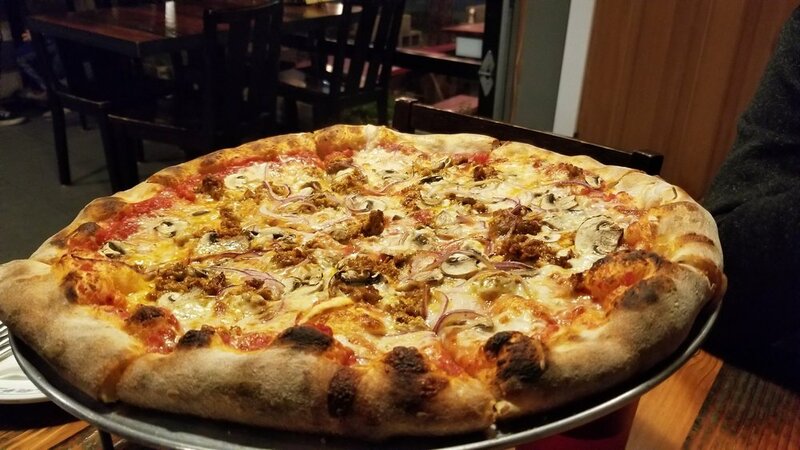 I personally believe the sausage pie is the way to go with any new pizza venture ((I am an east coast purist). Excellent flavors, and the crust stands up and commands respect. The current iteration of Paiche is just as unique and delicious as Jose Luis de Cossio's previous evening seafood offerings, but now he makes insanely delicious and beautiful empanadas and ceviches. You'd never know they're vegan. It's up on Corbett and it's worth skipping away for lunch. Go with a friend and order everything on the handwritten menu. The menu is chock fuil of delicious breakfasts that could cause any cardiologist to drop dead of a heart attack if they knew what you were eating. But really, a basic fried eggs and sausage, with excellent hash browns and homemade tart jam to spread on your toast is all you need. It is so good. No image of the fish and chips, but for $23, I had delicious rockfish and chips with a beer overlooking the beautiful foggy Columbia River. Astoria is my place to go from my home in Manzanita when I want to eat well. Baked Alaska gives you three options, a pizza pub, great bar with an incredible view, and their fine dining room. 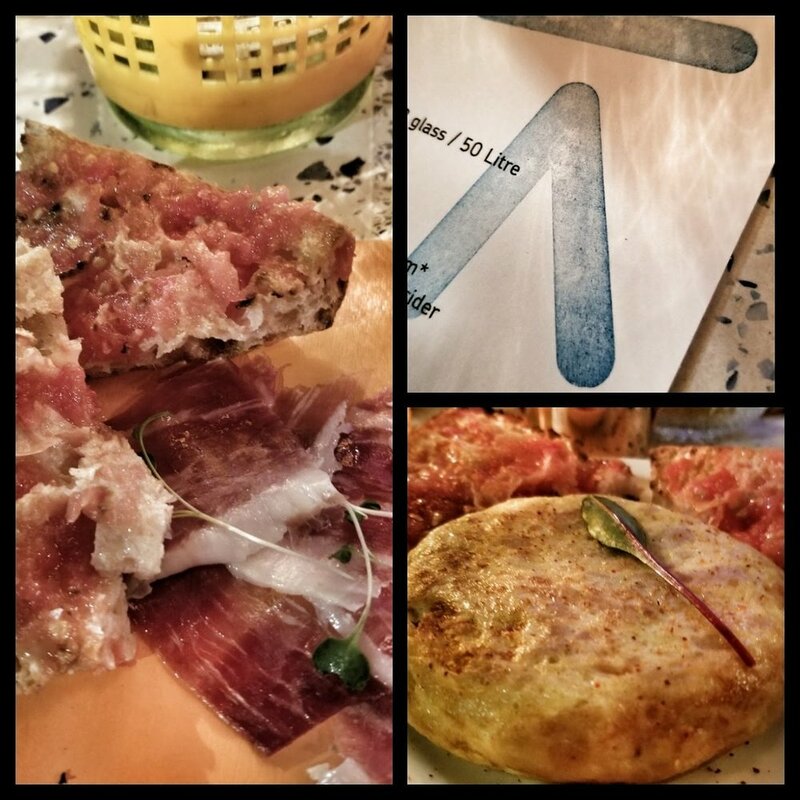 OK, so full disclosure, of course we do trips to Barcelona with Chef Jose, but the only reason this is a biased mention is because I am biased to excellent food! I've had pan con tomate all over Spain, and nowhere is it as good as it is at Ataula. I ordered the classic jamon plate, that comes with four slices, and it really is perfect. So perfect, in fact, that just was I was thinking of ordering more of that bread, my tortilla came adorned with two more wedges! I was in double heaven. Jose's tortilla is as good as any I've had in Spain, although there they are a bit wetter. Jose explained to me that American's can't deal with that, so he's found the perfect happy medium at Ataula. Pair these two items with their house Sangria, and then call us about joining Jose in Spain in September, because you MUST have the total immersion Ataula experience. Portland's best food events and food-related travel. Since 2010.